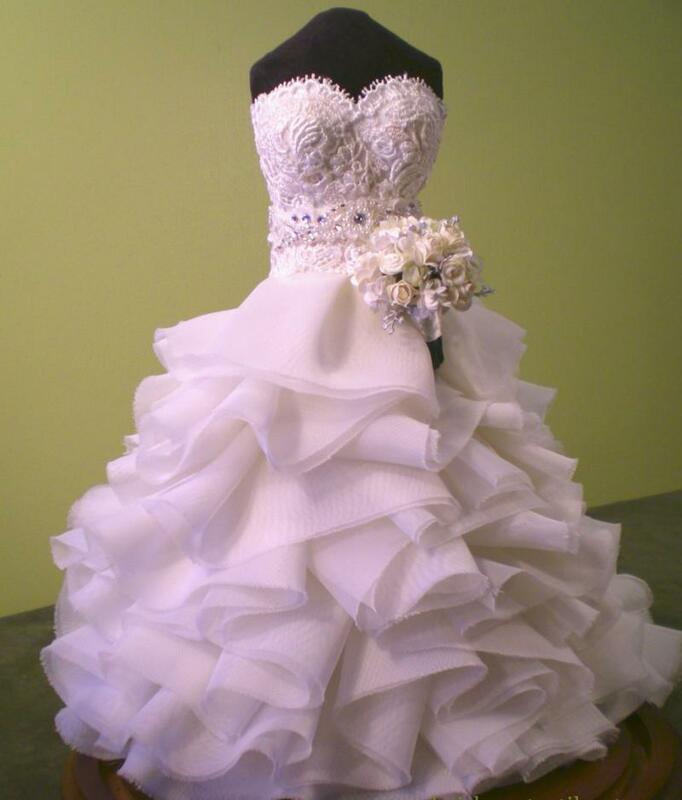 Wedding and pageant gowns are perhaps the most meaningful fashion statements a woman will make in her life. 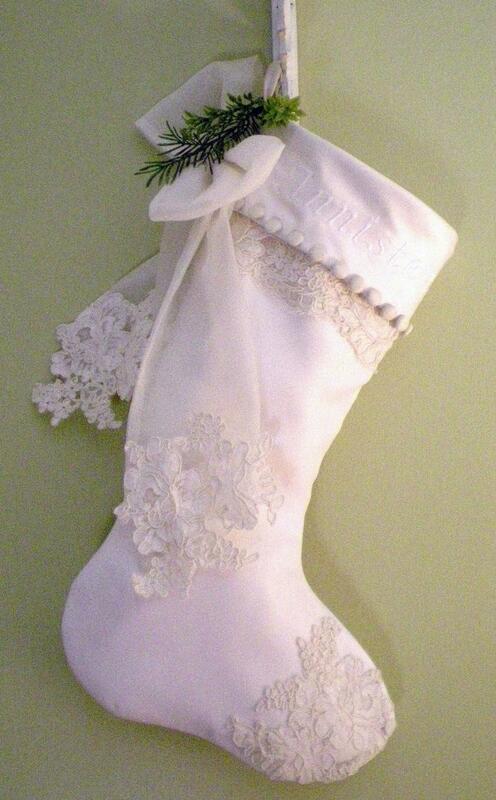 As a textile artist with a passion for beautiful dresses, Peggy Latta designs heirloom keepsakes which honor the memories of special gowns and are sure to become beloved treasures for you and your family. 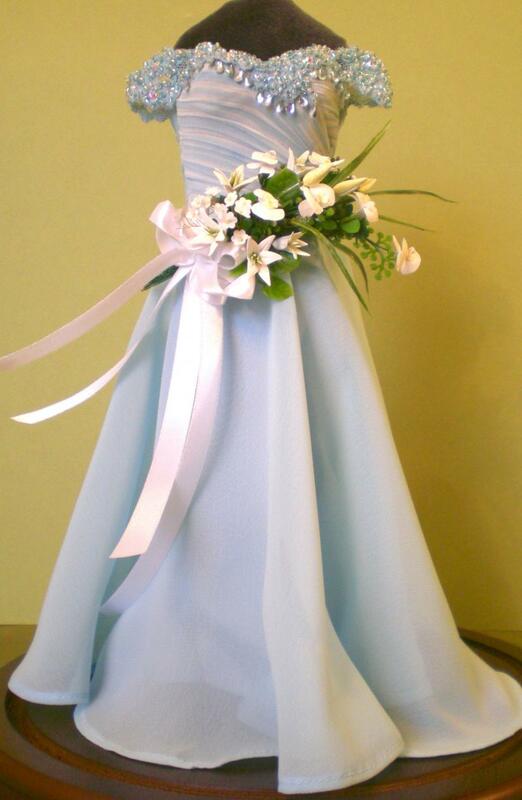 Peggy's replica miniatures, standing just under 11 inches tall, capture the beauty of these gowns and flowers. The commissioned, one-of-a-kind works of art featuring exquisite hand detailing, are perfect gifts for weddings, anniversaries, birthdays and holidays. Working with your vintage family gowns, Peggy also transforms your textiles into new garments, functional pieces for future weddings and memory-filled treasures for your home.